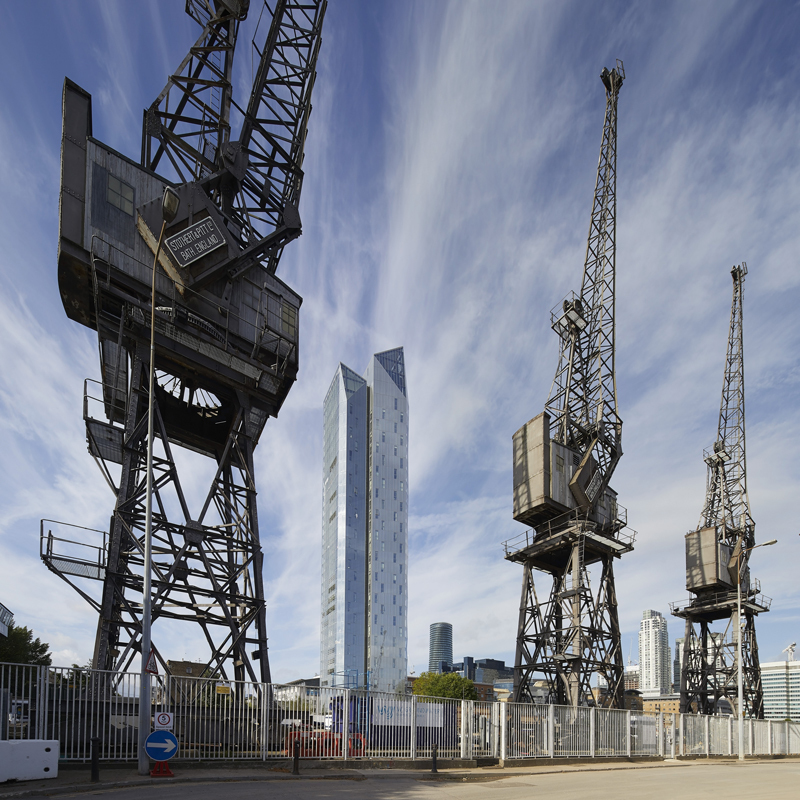 Residential tower located adjacent to the South Dock on the Isle of Dogs in London. The tall building is located on the edge of the established cluster of towers at Canary Wharf, and close to terraced housing within a conservation area. Design development advice. Townscape and Visual Impact Assessment. Historic Environment report.